Updating case management and client relationship management systems to ensure the organisation is better placed to advise and support families to understand and use SEND law to help their children, and to ensure the organisation meets GDPR requirements. 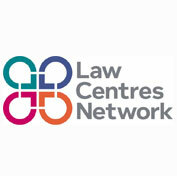 Creating a 5-year digital strategy for LCN examining how the digital operations and infrastructure of Law Centres can best be structured to support effective services for clients and to promote organisational efficiency and sustainability. issues arising for an Advice Triage and Brokerage model. This is part of a pooled fund to help secure a fair process for EEA nationals to stay in UK in accordance with the law. The fund will work on two main issues: capacity of civil society to engage with policy on matters for EEA citizens, especially vulnerable groups; and provision of information for vulnerable groups about the process, potentially looking at technology solutions. Initially, NPC will work with experts to develop a suitable strategy for the fund and the fund will be advised by a council of experts throughout. 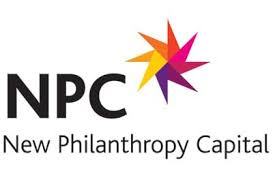 NPC will conduct due diligence on potential grantees and put forward the most relevant organisations. A committee of NPC staff with relevant expertise in grant-making and policy work will peer review and decide the grants with oversight from council of experts. We expect the fund to open for grants for two years from Spring/Summer 2018. Gathering and disseminating knowledge to benefit the wider sector will be a key objective of the fund and NPC will monitor the funding and disseminate learning (through roundtables, events, blogs) for another year. Relate have concluded that it is not currently feasible to launch the full end-to-end, joint negotiation process envisioned by Rechtwijzer. However, it has identified a clear need for a well-designed interactive guided pathway and ‘separation solutions finder’. This digital service will help divorcing parents become more informed about their separation, and more emotionally and practically ready to effectively resolve matters out-of-court. It will also make them more able to take advantage of fixed fee and unbundled arrangements, if legal advice or mediation is required. The project will draw on the extensive research, proven approaches and content, as well as cross-sector relationships to rapidly configure the service. Relate will work closely with users and likeminded legal firms in designing and testing the tool. Their input will vitally shape the offer for OFDR v2.0 and help identify sustainable sources of income to drive forward its reach and impact. 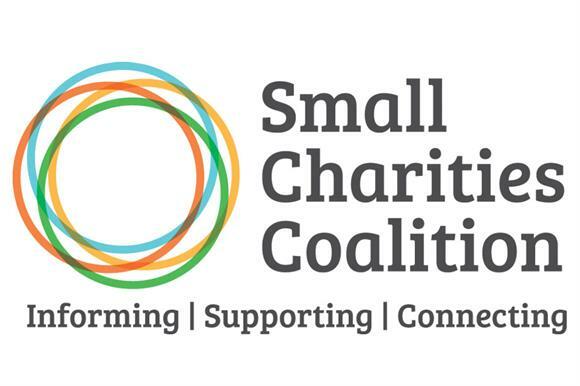 Further enhancements to the community portal to facilitate a smoother user journey guiding small charities to the legal support required, quickly and easily. The project will deliver ‘just in time’ information for pregnant women on maternity rights at work through apps and other social media channels. evaluate the effectiveness of these interventions to inform future projects to build legal capability. Maternity Action is well-placed to undertake this work as they are currently completing a project to deliver ‘just in time’ information on maternity rights through the Baby Buddy app, which is provided by the charity Best Beginnings. This project will research and define the requirements for an IT solution to replace an existing database. Using the findings of the previous evaluation and scoping project of IPSEA’s options for developing ICT systems, further investigate of the database requirements is now required. This is the first stage of a two-stage project, the second of which will be to identify and negotiate with potential suppliers and implement the proposed database solution. Evaluate the capability of IPSEA’s existing database which is currently used as a case management and CRM system. Identify a solution to the limitations of the current database. Help IPSEA become compliant with the new GDPR laws. IPSEA will use experts to assist with this project to make use of cutting edge information and communications technology and proven experience. These experts will work with IPSEA’s staff, volunteers and beneficiaries to ensure they understand the needs of various groups of database users and service users, so that the proposed solution is fit for purpose. They will work with IPSEA to define the database functionality needed now and in the future before researching options and preparing a specification report. The Advice Quality Standards (AQS) is fully owned by the Advice Services Alliance and is currently held by just under 700 separate social welfare legal advice services. The AQS includes a requirement for advice services to undertake independent file reviews of the work undertaken. 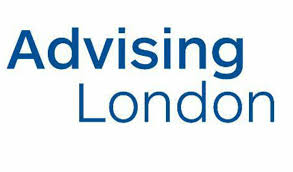 Whilst all organisations see the benefit of independent review, it is often very difficult on a practical level to achieve, particularly for small advice centres. Assess the long term financial sustainability of the model. This project builds on key points from face-to-face education to develop an online educational tool to help patient advocates, advisers, and health/care professionals to use human rights to support patients, securing their rights and protecting them from neglect or abuse and unfair treatment. Whilst people can use the tool to self-advocate, the target will be the many organisations/agencies charged with supporting patients, particularly those with mental health/capacity issues. This includes people living with dementia, autism and/or learning disabilities. Our interactive tool will enable patients/advocates/health workers to identify whether a person’s rights may be at issue and then take them through a series of practical steps and tools to resolve this pre-litigation (e.g. sample letters and worked examples). Developing "just in time" legal education for pregnant women on maternity rights at work, to be delivered through pregnancy-related apps and email notification services. Selection of supplier to implement IT strategy. This consultation will enable the selection of the most appropriate IT system and the most cost-effective provider to implement the system, resulting in much-needed changes to Fair Trials’ IT systems, reflecting their growth and more complex needs. The Project is to establish a ‘Skype’ advice clinic at the Dracaena Centre, and also to provide remote support to Cornwall CAB also largely using Skype. Staff solicitors at the Legal Advice Centre will provide free legal advice remotely to persons in need in Falmouth using a bank of Skype enabled computers at the Dracaena Centre. The clinics will run weekly on Monday and Fridays. The advice provided will be on Welfare Benefits and debt. Follow-up work will be undertaken by LAC lawyers. provide the CAB with an employment consultancy service. This project is transforming the digital infrastructure of Law Centres nationally. Phase 1 established a minimum standard for digital equipment and systems across the network. 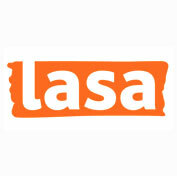 9 Law Centres with 190 users are participating in Phase 1. In Phase 2, the upgrade will be rolled out to a further 15 Centres with 300 users. Scoping a project to use Skype to provide free legal advice remotely, through a collaboration between University House Legal Advice Centre (east London) and community centres in Falmouth and Plymouth. The Frontline Immigration Advice Project is significantly improving access to quality, publicly-available OISC-accredited immigration advice for asylum seekers, refugees and migrants who have complex immigration issues. It is the first nationally-delivered project to do this, with a specific and dedicated focus on organisational capacity-building to secure OISC registration; improved advice coordination; and the sharing and adoption of best practice. The acute scarcity of this advice means thousands of vulnerable people are unable to attain justice, safety and dignity (Clayton, Models of Immigration Advice, 2015). The project is empowering frontline support organisations in key sectors to increase the delivery of quality, sustainable immigration advice through an innovative capacity building programme, involving training, coaching, case-sharing, organisational development, and regional coordination. All geographical areas where there is asylum dispersal and migrant communities have been reached, engaging 86 individual organisations nationally to date. Year 2 and 3 will deliver tailored training packages and capacity building support to provide more routes to acquiring immigration advice registration, extend organisational support to offer an e-learning platform and strengthen regional immigration advice coordination. Using the “cloud” and associated digital tools, the Unit will make better use of its situation (i.e. increasing number of cases) and resources (i.e. staff, advice agencies and volunteers) to achieve the organisations objectives (which are coextensive with those of the Foundation). The project will simplify and speed-up administrative processes for staff, improve accessibility and efficiency for volunteers and allow the creation of new educational and training content. 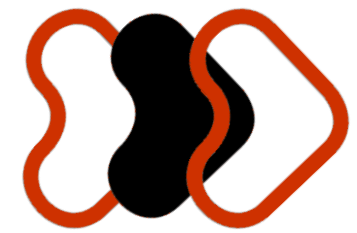 Central to this is FRUweb – a network of simple, connected, secure, supported spaces where people, platforms and paper meet to enable clients, agencies, volunteers and staff, which provides interfaces and enables Hubs for each key stakeholder group. This funding will support the project through a phased approach. This project will comprehensively update the electronic Best Practice Guide to Asylum and Human Rights Appeals which is published on the EIN website at www.ein.org.uk/bpg/contents. The current version of the Guide was published in early 2015 and states the law as at 30 November 2014. The Virtual Law Centre is a Skype based service providing specialist legal advice from pro bono solicitors and barristers based in Bristol to clients in more rural areas of the South West who do not have access to pro bono services. 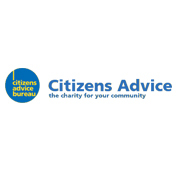 The project is hosted by Avon and Bristol Law Centre working closely in partnership with Citizens Advice North Somerset and Citizens Advice South Somerset whose clients will be accessing the service. The project aims to develop to include more partners and provide a comprehensive network of pro bono advice across the region. The aim is to start with family law and employment with one off advice sessions but build up to an end to end casework service as the project develops. 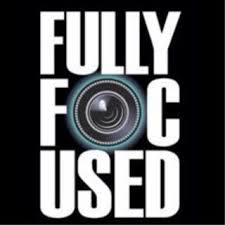 Focus will be on helping the most vulnerable people to resolve their legal issues quickly and helpfully, with clients being supported on to further services where needed. The aim is to provide a much needed service in areas where people have no access at all to free specialist legal advice and representation. Implementation of the second phase of the digital first strategy developed by LAG will enable all of the content from LAG’s books, Legal Action journal and Community Care Law Reports to be made available through a new website. This will give enable LAG to bundle the content to sell on a subscription basis. This project will provide advisers with comprehensive, interrelated online resources to help navigate the government’s wide-ranging welfare reforms. This online system will enable advisers to assess their clients’ entitlement to social security benefits and give them resources to challenge unfavourable decisions. The expansion of Ask CPAG content, which provides tactical online support to advisers on problematic areas of social security law by developing two innovative online tools to assist advisers through ‘Guided pathways’. The redevelopment of the online version of Welfare Benefits and Tax Credits Handbook. The online publication of the Welfare Rights Bulletin. Providing lesbian, gay, bisexual and transgender voluntary and community organisations across the country with information, guidance, case studies and practical examples of how equalities and human rights law applies to their working environments, all contained within a new dedicated website. As LGBT organisations are geographically spread the website will be backed up by a national programme of training on key legal areas in conjunction with LGBT lawyers to promote its best practice and practical use. New links between LGBT organisations will encourage development of brokered relationships so more LGBT lawyers become trustees of LGBT organisations, or can offer pro-bono support, to embed legal knowledge in a very practical way. This project is to fund the develop of a robust, sustainable system for the digital delivery of its services. This project is to enable KIND UK to partner with commercial law firms to support pro-bono capacity for legal advice and representation to enable children/young people with irregular immigration status to regularise their status and enjoy the rights of settled residency. Use project data and experiences to communicate about the needs and experiences of children; actively seeking to influence systems blocking children from resolving immigration problems. This project provides a National Programme for Legal Property education to the Not-for-Profit sector, through an online education service, to increase understanding of property law to reduce property costs, risks and worry and enable organisations to focus on vital frontline work. This project is to pilot the harnessing of the pro bono offer from the Bristol legal sector to enable the offering of specialist legal advice to the wider region using partner agencies and technology. It will build on and expand the pro bono clinic which Avon & Bristol Law Centre (ABLC) has been running successfully for many years. 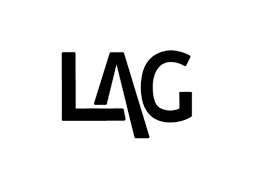 This project is to enable LAG to continue implementing a business plan to transform the business/charity by using technology to make available LAG's content through digital channels. Phase 1 - Replacement of basic IT infrastructure which includes implementation of new accounts package and CRM. A project to create a website for those working with LIPS (LIP Community). The site is aimed at the judiciary, court staff, advice centre staff, the pro bono sector, organisations looking to set up similar models (e.g. duty schemes) and members of the profession wanting to know what is already out there and how to develop responses in their area. It will feature models and experience of good practice and successful partnerships to maximise the scale and range of support that can be made available to LIPs whilst minimising duplication. 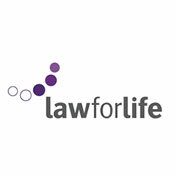 A project to educate lawyers on the applicability of Article 2 (Right to Life) to a much broader range of cases which will result in – more cases achieving far reaching inquests including in front of a jury; increased access to legal aid funding; more likelihood of policy recommendations to prevent further deaths. The ‘Law for Good’ campaign will connect expert technologists wanting to donate their time with charities offering legal advice who need technical support and advice support. There is a lack of technology and IT resource in legal advice charities which is underpinned by a cultural resistance to change. This inefficiency results in fewer people having access to legal support. Creation of a digital solution to accelerate resolution of client queries which are relatively straight-forward to enable resources to be focused on more complex cases. 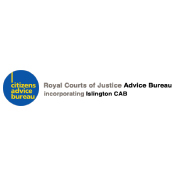 The idea is to help more of the people served to understand, articulate and categorise their own legal advice needs so that the organisation can be more focused and efficient with its advice, education and support services. This project will approach the challenge from first principles – looking at the client journey from first contact to a resolution of their problem and the efficiency of the processes that is currently employed along the way. The intention is to seek ways in which digital solutions can accelerate the journey without compromising the client’s experience and the quality of support given to them. Analysis by the organisation suggests that the triage process holds the greatest potential for a digital solution to resolve more of clients’ relatively straight-forward queries so that focus can be given to face-to-face time on people with multiple, complex and urgent legal advice needs. The aim is to implement this solution in boroughs across London on a fee-earning basis and to add value to bids for advice contracts in order to pay for on-going development. The appointment of a consultant to work with FRU to design and cost an IT strategy. A digital service that harnesses modern technological advances to improve access to justice by making transcriptions free/cheap and quick to access. In order to challenge the ineffective, and expensive private transcription organisations providing services to the UK court system, the project is to develop a digital service that harnesses modern technological advances to improve access to justice by making transcriptions free/cheap and quick to access. The government’s consultation on replacing the Human Rights Act with a British Bill of Rights (‘BoR’) is due to begin shortly. The consultation is expected to last 12 weeks. It is not clear yet what the proposals will be but they could significantly reduce the level of rights protection in the UK. The coming debate therefore poses a huge public educational challenge. Government consultations rarely succeed in engaging the public whose interests will be most affected. We want to change that and produce an easy to navigate, engaging and fun online resource with around ten sections which explain the key proposals. It is not intended to tell people what to think, or take a political line, but rather to explain the potential pros and cons and encourage them to contribute to the consultation. The aim is to better serve LIPs by further investing in PSU's legal education support and knowledge management systems, while fully establishing dynamic IT systems to support its rapidly expanding service. 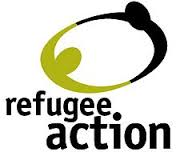 The aim of project is to provide individuals across North Wales, access to independent legal advice on all categories of law relating to immigration & asylum seekers. It is intended that such advice will be delivered through the medium of video conferencing at CAB Cylch Conwy & Wrexham District Citizens Advice offices. The video conference legal advice partnership will be delivered by Jackson Canter through their offices in Liverpool and Manchester. 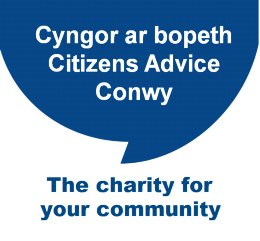 The grant is to provide the video conferencing equipment required within two Citizens Advice Bureau offices in North Wales, Llandudno & Wrexham, and is required to deliver a pilot face to face advice service via video conferencing. The Project will empower people claiming asylum in North West England to engage meaningfully with the asylum process by providing them with legal literacy on the UK asylum system. Highly skilled volunteer Asylum Guides, located in organisations trusted by the client group, will provide people seeking asylum with a legal literacy programme. They will meet their clients in person at key stages in their journey through the asylum process to understand and prepare for their interactions with the Home Office - from arrival until their case is concluded. Exhausted by the asylum seeking experience, and ill-prepared to navigate the process alone, this staged, relational legal literacy approach will engage this population to feel more engaged with their claim and have a better understanding of what is happening at each stage of the process. Moreover, the Solihull Early Advice Pilot showed, they are more likely to accept the outcome of their asylum claim if they have had the process explained to them and are able to participate in the decision making with the support of a trained advisor. Asylum Guides will be trained using digital educational tools thus ensuring that this is an accessible, scalable public law educational model. The project will produce four short videos guiding pregnant women and new mothers through the processes they need to follow to resolve disputes about management of sickness at work and will also scope use of apps to deliver maternity rights information. Pregnancy discrimination, including poor management of sickness, is widespread. Government research found that 11% of pregnant women lose their jobs because of discrimination. Only 8% of these women take formal action (pursue a grievance, seek advice, employment tribunal claim). The videos will guide low income women through informal meetings with their employers and the formal grievance process, complementing Maternity Action's widely used online information. The videos will be informed by focus groups with low income women and input from unions, and will be piloted with women prior to release to test efficacy. The videos will be fully evaluated and the learning will inform future projects to build legal capability. Discussions have been held with the Equality and Human Rights Commission (EHRC) about joint work to deliver maternity rights information through apps and the project will also scope this work, producing a detailed proposal. BWB has just soft launched a new On-Line service “BWB Get Legal” (getlegal.bwbllp.com) aimed at the charity sector, which produces bespoke legal and policy documents in response to the user answering document specific questions. This project is to fund an overlay on BWB Get Legal to meet the specific needs of the smaller charities – where they do not even know what they need - and provide a seamless and very low cost method of meeting those small charity legal needs. This project gives NGOs a free, easy-to-use online tool to assess their legal needs, resulting in a report that they can work through with lawyers over time, whether on a fee-paying or pro bono basis. This will help NGOs to use lawyers more effectively and efficiently, being clear about exactly what they need to address and preventing costly disputes from arising by identifying the gaps in their standard operations and programmes. It will also generate a body of knowledge about the needs and challenges of NGOs, creating the evidence required to generate policy and legislative reform. A project to develop an interactive online tool which would allow advisors and service-providers in the voluntary and public sectors to assess the eligibility of destitute migrant children and families for local authority support under s17 Children Act, where they lack expert knowledge on that area of law. The accessibility of the tool, housed on the NRPF Network site and tailored to take account of minor variations in law in Scotland, Wales and Northern Ireland, will empower voluntary sector agencies to advocate on behalf of eligible families. It will also ensure that local authority staff have an authoritative tool that enables them to make an informed initial response, reducing the likelihood of rejection of applications prior to formal assessment. The tool will provide a printout the advisor can use when approaching a local authority. Inserting a post-code will provide relevant contact details. The project will increase the prospect of eligible families securing s17 support while reducing potential for ill-advised applications. Further, it will serve as a pilot for establishing the potential for a technological solution of this kind to enhance access to rights in geographical areas and sectors where specialist legal knowledge is not readily available. This project gives advocacy and campaigning NGOs free online tools to understand English defamation law so they can check the vast majority of their publications for defamation risks themselves, saving paid-for and pro bono legal services for specific, more technical points. 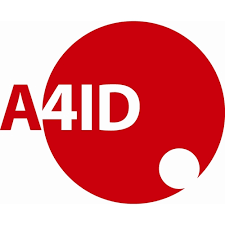 The training and self-assessment tool will be developed by A4ID in partnership with leading defamation barristers and in consultation with relevant NGOs, so that they are legally correct but also engaging and user-friendly. This will mean that NGOs acting in the public interest to expose serious misconduct will be able to do so responsibly and without jeopardising the work of their organisations. Proof of concept and implementation plan for upgrades to the family mediation case-management systems. The target is to provide increased capacity and efficiency, empowering clients with the online management of paperwork outside office hours or pre-arranged meetings; streamlining processes for admin staff and mediators. conduct a feasibility study on sustainable financing options. The Project will create a unique legal resource providing relevant and risk-based guidance on key areas of the law, as well as template policies and documents relating to governance and charity management, to non-specialist or generalist lawyers working in a wide range of charities. A feasibility study into potential sources of future funding for the website e.g. the charging of a membership fee based on the improvement and enhanced value of the website to members will be undertaken. Advancing the JUSTICE Student Network (JSN) will build upon the initial success of developing the JUSTICE Student Human Rights Network microsite and increased engagement with the student community. While much of initial objectives of the project (supported by the LEF) have been achieved there is still much to develop. This project is multi-faceted in its objectives, intending to equip students with a practical understanding of how lawyers can work to strengthen the justice system and the rights of individuals within it. It is also designed to encourage contact between students and practitioners. This experience cannot be obtained from normal academic or vocational programmes. By drawing upon our unique history, experience and membership, a comprehensive JSN website will make a valuable contribution to legal education. The site will contain a selection of unique resources designed to support academic legal education and to encourage interest in public interest law. Additionally, a key aspect of this project is the hiring of a JSN Fellow to carry out the work. The fellow will be responsible for the day-to-day running of the JSN, organising events, liaising with students and practitioners and coordinating the new ‘A Day in the Life of Justice’ initiative. BHT Pro Bono is a collaborative clinical law project initiated between Brighton Housing Trust (‘BHT’) and Sussex University's Law Department, where law students are placed at BHT's Legal Advice Centre in central Brighton, to gain experience in housing and legal aid advice provision. The aim of this project is to develop a digital advice unit. The assistance the students can give will not only be in the traditional form of face-to-face, over the counter client-based work, but also delivered through an online portal currently being developed by BHT, part of the ‘Advice Brighton and Hove’ technology strategy ‘Digital Inclusion’. This project will develop new, innovative training and capacity-building interventions aimed at professionals, carers and young people to further our objective of improving the implementation of children and young people's rights in practice. to maximise the use of online resources to scale up our impact and reach the greatest number of beneficiaries. By supporting professionals who are at the coalface of implementing children’s rights Coram are ensuring a comprehensive approach to improving the experiences of a group of children amongst those most at risk of breaches of their legal rights. Through this project Coram aim to directly train and support 510 professionals and young people, and provide resources and remote training to over 3000 per year. Supporting UK legal practitioners & advice providers by addressing barriers to them taking advantage of casework support available through the rightsnet online adviser discussion forums, enabling them to work more effectively in responding to client need. This project creates an innovative series of online resources which will make human rights law more accessible to the public with clear, reliable and sharable human rights information online. To develop and publish free online training materials to enable bodies providing pro bono legal advice to make effective use of the Freedom of Information Act in their work. The materials will be available without charge on the CFOI website. The vision of the Charity is a world where every person’s right to a fair trial is respected, whatever their nationality, wherever they are accused. 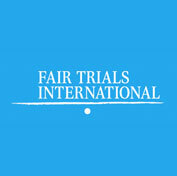 Its mission is to promote fair trials according to internationally recognised standards of justice and defend the rights of those facing charges in a country other than their own. The funds will allow Fair Trials to expand the reach of the public legal education materials it has developed for individual suspects and defendants arrested in countries across the globe (and their friends and relatives). The process will be shared as a case study for other organisations providing online public legal education to identify and share examples of good practice in terms of effective dissemination. Pre-trial detention: The excessive use of pre-trial detention, including the United Kingdom, is becoming a growing area of concern. This e-training will highlight the important role lawyers can play in the decision-making process on pre-trial detention. It will provide an overview of international standards and show how this can be used in practice in day-to-day cases. 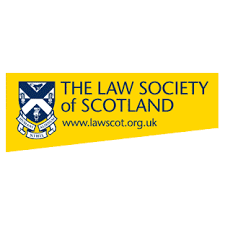 Access to a lawyer: The etraining will provide an overview of the Access to a Lawyer Directive and practical guidance for lawyers on how to make effective use of this new legislation in their day-to-day practice. Human rights and cross-border cases: This course will focus on the European Arrest Warrant, providing practical guidance for lawyers on how to develop and evidence human rights arguments in cross-border cases. 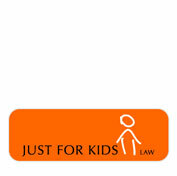 The Just for Kids Law charity aims to transform the lives of children and young people through the rule of law and child-centred advocacy. Many of the vulnerable young people it works with have multiple and complex needs; these include physical and mental health problems, unstable immigration status, unstable accommodation and weak or non-existent support networks. The charity advocates on behalf of clients in school exclusion hearings, at police stations, in the courts and in other formal and informal settings. The aim is to ensure clients receive a fair hearing, are properly supported and have access to essential services (such as a placement in school or suitable accommodation). 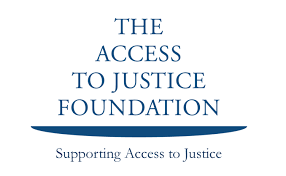 The Foundation grant will be used to create a YJLC website to share it unique knowledge base with as many people as possible, and provide a comprehensive resource about children in the criminal justice system to professionals, lay people and young people. JUSTICE is an all-party law reform and human rights charity working to strengthen the justice system – administrative, civil and criminal. Its vision is of fair, accessible and efficient legal processes, in which the individual’s rights are protected, and which reflect the country’s international reputation for upholding and promoting the rule of law. This includes “promoting education and conducting research into the law, including current proposed practices and administration and reform of the law”. The Foundation’s grant will enable the charity to build a dynamic student website to arm students with the necessary skills and experience to engage with law reform when they enter practice. Law for Life: the Foundation for Public Legal Education merged with Advicenow website in June 2013. The LEF’s grant will be used to update this website on a new platform to enable new media and technology, eg, smart-forms, video, e-learning, infographics, process navigation charts, and web apps. The update will bring Advice Now’s problem-solving approach to a new audience and provide a potential revenue stream. The remodelling will also present the site much more clearly as a resource for volunteers dealing with litigants in person and intermediaries as a resource for guiding their clients. 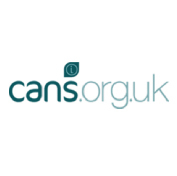 This charity aims to relieve poverty by providing legal advice, aid, assistance and other services relating to issues in any court of law or tribunal or enquiry having jurisdiction in England and Wales. It especially targets children and young people subject to immigration control in the UK. The charity places the child at the centre of training initiatives through a child’s rights based legal framework (underpinned by the UN Convention on the Rights of the Child) to help raise awareness of child rights-based immigration law and to enhance individual knowledge/skills. The LEF grant will assist a three phase project to analyse, train and share knowledge on issues that affect this highly vulnerable group of young people. This project is one of the three strands within its Benefit Assessment Advocacy Programme, the production of public education resources. The main focus is on the development of two benefit assessment apps, relating to the WCA process to access ESA, and the PIP assessment process respectively. These will be downloadable to mobile phones/ tablets. 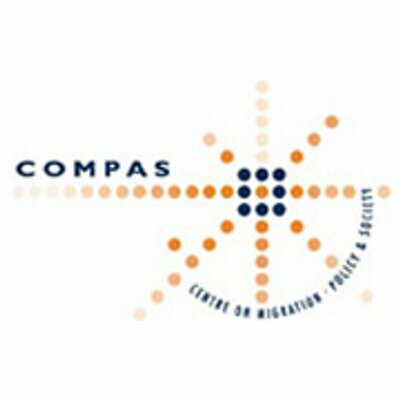 Applicants will use them to prepare themselves for their benefit assessment, in terms of being aware of the questions they will be asked, having the opportunity to prepare their answers, and providing them with an estimated score on the assessment and therefore a predicted outcome for their claim. The mobile apps will be backed by the creation of a more traditional website tool covering the same ground. SEAP will also script, produce and distribute online videos exploring different scenarios within the assessment process. 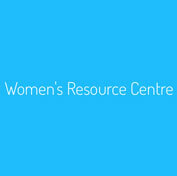 A project to develop training for those appearing in sexual abuse cases. This arises out of the high profile failures of a number of serious sexual grooming trials where, it was said, a combination of improper defence tactics and inadequate judicial control led to the collapse of the trial and to witnesses being abused. The further development of The Advocate's Gateway, with particular reference to the Treatment of Vulnerable Witnesses through Masterclasses and Toolkits in Practice. These classes are aimed at advocates and other lawyers who wish to understand how better to communicate with vulnerable witnesses inside and outside the courtroom. This project brings together for the first time trainers in advocacy techniques and experienced trainers of foreign language interpreters with a view to enhancing the skills of both professions. Vulnerable Witness Sexual Offences and Child Cases National training course – approx.. 2,500- 3,000 advocates are engaged in cases involving sexual abuse or children. The need for this training is manifested in the light of the recent and very highly publicised disasters in the conduct of sexual abuse and grooming cases. Foreign Languages in Court and the effective use of Interpreters – simulated court cases in which key evidence has to be taken. There are many settings in our community where people can identify individuals who need informal advice, such as GP surgeries, community centres, faith groups etc. This project will provide an online information source for social welfare law practitioners in three areas of social welfare law – employment, housing and community care. It will cover topics such as housing, employment and community care law including self-help guides on common legal problems. Public legal education materials on welfare rights. Aims to increase the skills and knowledge of people affected by welfare benefit changes and to equip them with the necessary tools to advocate on their own behalves and run their own cases. Materials will be made available online. Many vulnerable individuals find themselves needing to make appeals against Social Security decisions, but don’t know how. Most have long-term health problems and will have mental and/or physical illnesses. The appeals process can be daunting – often they’re expected to sit in front of a panel of professionals. This project will develop an online game to ensure claimants can learn exactly how the tribunal process works in an engaging and interesting way. The project will also offer followup face-to-face informational group workshops. The game will be shared for free through the CAB network and could be shared with other voluntary organisations for free and on subscription to not for-profit companies. The project funding will also cover training packs for volunteers and staff delivering the workshops effectively. Providing practical training to charities and community groups on areas of interest to them. It is also meant to inspire charities and community groups to feel confident with the law and use it in practice. Free Talks are provided in either live recorded and a pre-recorded format. The event includes a presentation to delegates, a practical application of the information either through case studies or case law and a question and answer session. 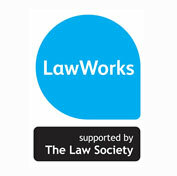 Pre-recorded talks are on the LawWorks website and other agencies are contacted and informed that the videos can be downloaded by their network. Provide more straightforward advice on procedural elements of family law. The various stages of an uncontested divorce have been identified as a suitable starting point for this work. It is aimed at individuals, either claimant or respondent, who are engaging with a family law problem that falls within the service’s scope. They will not be eligible for legal aid or any other kind of financial assistance and are therefore expecting to represent themselves, or looking to inform themselves about their options before taking further steps. to empower UK lawyers to use the expanded remit of the Court of Justice of the European Union (“EU Court”) to interpret EU laws in a way that ensures suspects’ fundamental rights (including in cases involving existing judicial cooperate measures like the European Arrest Warrant extradition system (“EAW”). 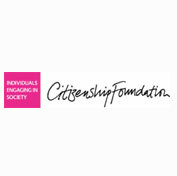 Focussed on women, young people and BAME learners , the project will create an integrated series of e-learning modules for communities on common social welfare law with e-learning tools that are easy and intuitive to use with video and images, on- screen coaches/ narrators, simulations and case- studies. The content will be trialled with community groups. 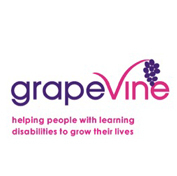 Grapevine help people with learning disabilities to get the life they want – to make their own choices and be part of their community. 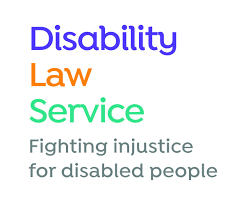 The LEF funded project is prompted by recent research into the problems accessing legal services experienced by people with learning disabilities. This potentially affects 1.5 million of the most vulnerable citizens of the UK. 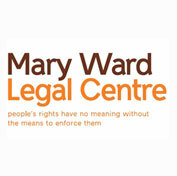 The project will use current networks to make resources available to 50,000 solicitors, every law centre and CAB in the country, 42 national and 170 regional carer organisations, 50 local self-advocacy groups and a range of care and support service providers including educational material, practice notes and presentations on topics such as hate crime, discrimination and mental capacity. 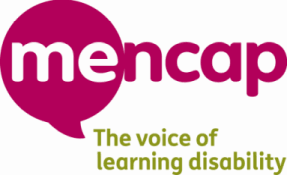 The second strand of work provides material directly to the people with learning disabilities, their families and other supporters (including paid staff) to help recognise the types of legal issues that affect people with learning disabilities, what they should expect from legal services and how to work in partnership with local legal services to improve issues such as accessibility of information and adjustments to practice. Further develop a County Court module for CourtNav which is an interactive online tool developed by the Royal Courts of Justice Advice Bureau (RCJAB) in partnership with Freshfields Bruckhaus Deringer LLP. The tool is designed to help Litigants in Person (LIPs) who cannot afford a solicitor to complete court forms and understand the procedure that they should follow. 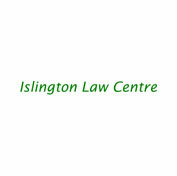 On line video’s of training sessions in social welfare law for member law firms and volunteers at free legal advice clinics. They provide a cost effective method of ensuring that lawyers are learning broad based legal skills for use in the clinics and build on their existing knowledge. Training also includes practical advice skills and other areas specific to particular projects and services. Three additional toolkits in the Vulnerable Witness series. Communicating at court with witnesses and defendants with mental illness. Use of remote live-link for witnesses. Screening for vulnerability in witnesses and defendants.